Women do it every day, but having a baby is tough work. (I’ll talk about this in more detail in a different blog). At the beginning, just getting out of the house becomes an ordeal or doesn’t even become an ordeal because you don’t end up leaving after all. 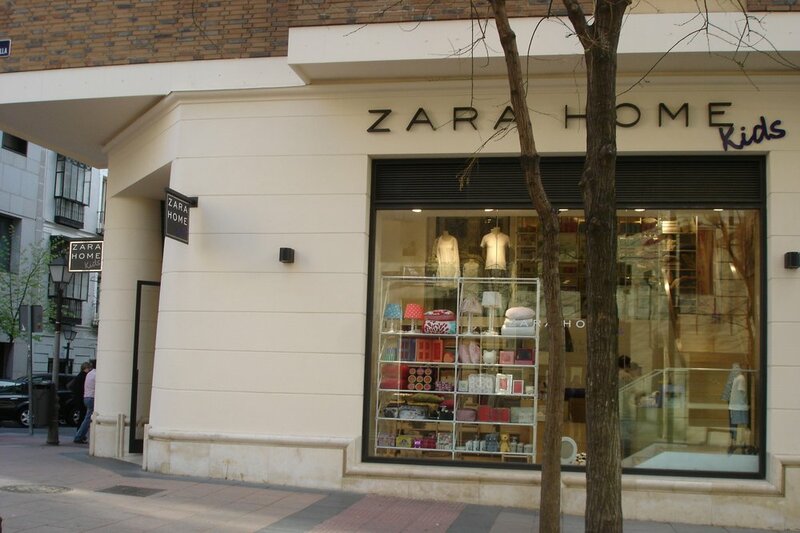 Having said this, I was feeling quite proud of myself when I made it to the Zara Home Kids store on Calle Hermosilla 22 in Madrid when Nico was about a month old. The reason for the trip was to return a gift since I already had the same present at home. Unfortunately, I was already anticipating a problem… the gift receipt was good for exchanges within 30 days. We were on day 31. I had just received the gift a few days ago, but it had been purchased a while back. Of course when I mentioned to my sister that we were probably going to have a problem, she thought I was joking. Sure enough, I was right. Everything seemed to be going smoothly until the girl who attended us tried to process the return and realized there was an error because of the date. She had to call her manager to “help out”. That’s when the fun started. The manager was a young woman, in her late 20s and very serious. At first she said that there was nothing she could do because these are the Zara rules (no apology at any point by the way). I then tried to politely explain that I understand there are rules but that I just had a baby and this was the first day I was able to get to the store to make the return..and it was day 31! I tried to nicely say that it really shouldn’t be a big deal since it was only one day and I wasn’t trying to get cash back. Again, she firmly (without any apology nor hint of a smile) repeated that she couldn’t do anything. That’s when I started to get a bit annoyed and dropped the extremely polite tone. After saying that it seemed ridiculous to me that there was nothing she could do as the store manager and that I was going to have to throw out the gift, she finally (with a very annoyed tone and gesture) said that I could make an exchange, but that was it. Ok, that’s all I wanted. With that she stormed off, like I had just made the most unreasonable request. After a short browse I returned to the cashier (the manager was with her teaching her things on the computer. I guess she was new). The manager completely ignored me standing there in front of her with my exchange and continued to talk to the trainee for about a minute without even acknowledging me. When she finally did it was only to tell me that what I had picked out wouldn’t work because I needed to get something for the exact value of the original gift or more expensive. Could she have mentioned that at the beginning? With my hands up in the air I quickly went back and picked out other items. Meanwhile, my sister was looking on in shock (I think the only reason she didn’t say anything is because she doesn’t speak Spanish). Finally, back at the register one more time, and after waiting yet another minute to be not acknowledged by the manager, she finally went ahead to process the exchange. The whole time she seemed to be even more annoyed than me and verbally made it clear that she was doing me a favor. She also made it extremely clear that I could not make any return or exchange with the new items, as if I were a thief and trying to steal from Zara. Before heading out, as the manager was sighing, I stated that this was no way to treat customers. At this, she promptly rolled her eyes at me and continued talking to the trainee. I would think that any store dealing with children or children’s items would have a little more understanding, or at least be cordial. Needless to say I have not returned to Zara Home Kids and will never go back to that store. Zara is a massive clothing superstore and my one little experience obviously isn’t going to damage it. However, how many other little experiences like this are happening at other Zaras around the world? How many Zara Kids customers are deciding to shop at specialized kids competitors stores now for a better experience? This entry was posted in Customer Experience, Retail and tagged Customer Experience, Zara Home Kids on December 14, 2014 by Michelle.